Dubai, UAE, October 23, 2018: The number of Russian tourists travelling to the GCC is expected to increase 125% from 933,000 in 2018 to 2.1 million in 2023, according to data published ahead of Arabian Travel Market 2019, which takes place at Dubai World Trade Centre from 28 April – 1 May 2019. Looking at the economic drivers, Russia's links with the GCC have strengthened in recent years due to the introduction of additional airline routes; relaxed visa regulations for Russian nationals; the oil price recovery and stabling of value of the Russian rouble; a new generation of leisure attractions and retail destinations and a broad range of hotels and resorts across the GCC region. Russia continues to be one of the top 10 source markets for the UAE, with 530,000 Russian visitors entering the UAE in 2017, a 121% increase from the previous year. This increase stemmed from the UAE's introduction of visas on arrival for Russian tourists in 2017. “Higher Russian visitor numbers will help support investment opportunities and economic diversification, in line with the kingdom's plans to target 30 million visitors annually by 2030,” added Curtis. 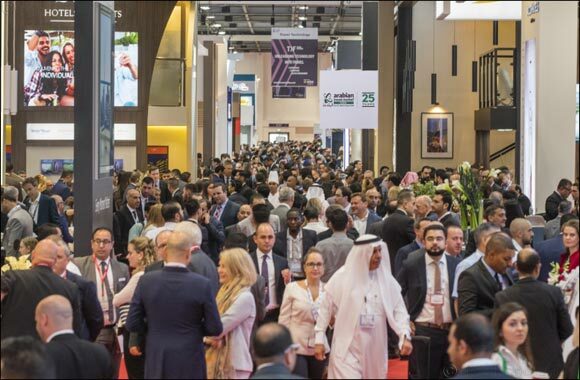 ATM 2019 will build on the success of this year's edition with a host of seminar sessions discussing the ongoing unprecedented digital disruption, and the emergence of innovative technologies that will fundamentally alter the way in which the hospitality industry operates in the region.